How To Lose Weight Fast: 15 Sensible Ways That Work. Some weight loss plans make losing weight sound like rocket science. The truth is this; you don’t have to follow a specific “6-week diet” or similar. For one thing, there is a reason why people are always on and off celebrity diet plans; they are rarely sustainable. Even with the best advice, knowing how to lose weight and actually doing it can be very different things. Rather than making things complicated, this article focuses on 15 simple, sensible, and sustainable nutrition and lifestyle ideas that are backed by science. Losing weight is hard enough already, but it is even more difficult if you are always feeling hungry. Fortunately, there is an easy way to improve satiety and reduce appetite at the same time; eat more protein. It might sound simple, and that’s because it is; protein is the most satiating macronutrient (1). Study after study shows that individuals with higher protein intake experience better appetite regulation and fewer food cravings. This regulation of food intake naturally leads to improved weight loss (2, 3). This fact is especially important for women too, as there seems to be a particular kind of guilt associated with eating meat. Like it is more of a man’s thing or something. The truth is this; if you want a healthy, sustainable way of eating, then a starvation salad with a few little pieces of chicken breast isn’t going to cut it. Aim for a minimum of 1.5 grams protein per kilogram of body weight. Try to eat at least 30 grams of protein with each meal. Some great high-protein options include; eggs, fish, and meat. Dairy is also great, but go easy on cheese and milk, which are both very energy-dense. Additionally, see this guide to foods that may reduce hunger. Key Point: Protein is very satiating, and a sufficient intake means you are much less likely to overeat. One of the best ways to lose weight is to ditch high-calorie, high-sugar drinks. Fruit juice is little more than liquid sugar with a few nutrients, and the less said about cola/soda, the better. There are also several drinks that may seem OK, but in reality, they are little more than sugar bombs. Modern cafe drinks like mocha, caramel macchiato, and fruit smoothies are all full of corn syrup. The world health organization advises an upper limit of 25 grams per day of free sugars (but really; the less, the better). Drinks like the above can easily provide double that amount, and that is from just one drink. Drinks that are high in sugars are not supportive of optimal health. Key Point: High sugar drinks are either adding large amounts of energy or replacing more nutritious food options. Eat your calories rather than drinking them. It isn’t just our diet that affects our weight; it is our overall lifestyle. Among these lifestyle factors, sleep is perhaps the most critical. It’s important to realize that insufficient sleep contributes to poor health just as much as an unhealthy diet does. For example, inadequate sleep increases levels of stress hormones, insulin resistance, and fasting blood glucose. Poor sleep also worsens appetite regulation and the lipid (cholesterol) profile (4, 5, 6). Importantly, decreased insulin sensitivity, stress hormones, and poor appetite regulation are all contributory factors to weight gain (7, 8). Sometimes it can feel like there are too many things to do and not enough hours in the day. However, a 7-hour sleep is one of the best time investments you can make. Key Point: Sleep is essential for losing weight – and overall health. Did you ever hear the phrase “abs are made in the kitchen, not the gym”? It is true; for weight loss, diet should always come first. However, exercise can play a helpful supporting role, and one of the best things you can do is resistance training. In other words, lifting heavy weights. Recent studies demonstrate that compared to dieters doing aerobic exercise, resistance trainers retain/gain more fat-free muscle mass. Since it is fat (and not muscle) loss we want, this is important (9). Resistance training is also associated with decreased visceral fat (the most dangerous kind) and improvements in lean mass (10). If you need further encouragement, resistance training is predictive of long-term (6-year) body composition. For instance, individuals lifting higher levels of weight have less fat tissue and more lean mass over the long-term (11). And this is for both genders; lifting weights doesn’t instantly turn a woman’s body into a bodybuilder physique, it just improves overall health. Key Point: Resistance training is supportive of weight loss, lowers the risk of chronic disease, and improves overall health. First of all, snacking is not the best idea for someone wanting to lose weight. In the first place, three well-planned meals should mean there is no desire to eat more food. However, in the case that you really can’t resist, then opting for a high-protein snack is the best bet. As we saw earlier, the science is clear on the benefits of protein-rich foods for appetite regulation. On the other hand, typical ultra-processed snacks contain nothing of nutritional value and encourage food cravings. Key Point: In contrast to sugary cakes and cookies, protein-based snacks are nutritious, full of essential nutrients, and they support satiety. Refined carbohydrates offer little in the way of nutrition, and they are incredibly energy-dense too. As a result, a simple way to encourage weight loss is to replace foods like rice, pasta, and bread with more vegetables. For example; if you have a meal of beef, veggies and white rice, just replace the rice with a double portion of vegetables. The resulting meal will be higher in nutrients, lower in carbohydrate and calories, and more supportive of weight loss. Although foods like potatoes offer various vitamins and minerals, they too are very energy dense, and it may be worth cutting down (or replacing) them while attempting to lose weight. Key Point: One of the easiest ways to lose weight is by replacing sources of refined carbohydrates with more vegetables. This simple swap means more nutrients and less energy consumption. Have you ever heard the advice to walk 10,000 steps per day to burn more calories? Staying active and not being too sedentary is vital for our overall health, and walking more is something to aim for. However, there are some problems with the simplistic idea that walking more means greater weight loss. We can’t really “outwalk” a bad diet, so it is important to quite clearly state that this won’t be effective if our diet is wrong. To put it another way; an hour on the treadmill doesn’t cancel out a bucket of KFC! In short; weight loss doesn’t come from taking more steps; it comes from overall diet and lifestyle. However, presuming we are following a sensible and healthy diet, walking more can offer some great extra benefits. First; yes, we can burn more calories. A long walk is also a chance to enjoy some fresh air and perhaps some social time with friends or family. If you have one, then walk the dog in the early morning and evening. Enjoy the countryside and go for a long family walk at the weekend. Stuck in the office all day? If location allows, then go for a walk around the local area at lunchtime. Key Point: Walking won’t cancel out a poor diet, but it is always good to walk more as it brings many benefits. Added sugars, flour, and vegetable oil are the main ingredients in the vast majority of packaged foods. Unfortunately, almost 60% of the calories in the American diet come from these ultra-processed food products (12). Reducing or removing these foods from our diet is a simple way to eat healthier. Key Point: Staying away from ultra-processed food products is one of the quickest ways to lose weight. I know it tastes good, but beer is another thing that is not supportive of weight loss efforts. For one thing, a typical bottle of beer contains over 10 grams of carbohydrate and a total of over 100 calories (16). If someone is drinking numerous bottles per day on a regular basis, then it is easy to see how this quickly adds up. It is likely that regular drinkers will see rapid weight loss if they cut down on (or give up) their beer habit. It doesn’t mean you can never drink it, but losing weight while being a regular beer drinker is very difficult. Key Point: Cutting down on (or giving up) beer will make a big difference. The modern world in which we live has a “have it now” culture. For thousands of years, humans had to work hard for their food and suffer through times of drought and famine. Everything has changed, and there are delicious foods instantly available on almost every street corner. Again, many of these foods are ultra-processed and over-ride our satiety signaling systems (17). Liquid calories (cola, café drinks, fruit juice) energy-dense foods and even exercise-induced compensatory eating can make us seek out more food (18). One of the easiest ways to improve weight loss efforts is to only eat when hungry, rather than just for the sake of eating. Therefore, one question we need to ask is: am I actually hungry? And do I really need to eat? For many people, the answer will be no. We don’t need to be constantly eating and snacking throughout the day. Once we adopt healthier eating patterns and include more satiating foods (like protein), then this appetite regulation becomes easier. Key Point: It is important to know the difference between food cravings and genuine hunger. For health, nutritional value, and their impact on satiety, we should emphasize whole foods over processed food products. In some cases, this will help us to avoid unhealthy additives (i.e. hot dogs and the yogurt products). Whole foods also support better overall health through their higher nutrient-density and greater satiating effects (18, 19). While many people argue over the best diet to lose weight, everyone can benefit — no matter what their diet — by prioritizing whole foods. Key Point: Whole foods are much more health-supportive than processed food products. 12. Weight Loss Is a Journey: Don’t Starve Yourself! Unfortunately, it is so easy to see people starting new diets and giving them up soon after. A few months later, and the cycle repeats itself. The reason why is simple; starvation diets that encourage severe calorie-restriction are not sustainable. And the critical point here is this; what happens when someone gives up their diet? Firstly, they go back to their old way of eating again. To put it a different way; they go back to the diet that made them gain weight in the first place. Soon after, they gain weight again and decide they are going to diet once more. For sustainable and long-term weight loss that supports good health, we need to find a healthy eating pattern that we enjoy. What kind of diet do you feel best on? What kind of foods do you enjoy? Listen to your body, and choose a way of eating that suits your lifestyle. It is much better than short-term starvation weight loss plans. Key Point: Quick-fix diets that promise short-term transformations are not sustainable. It is far better to adopt a long-term healthy and enjoyable dietary pattern. Studies show that low-carb and low-fat diets can both work well as weight loss interventions. However, some studies that directly compare these two dietary systems give a slight advantage to the low-carb diet (20, 21, 22). This may be because low-carb diets tend to offer higher amounts of protein, which is recognized as the most satiating macronutrient. Additionally, low carb plans tend to emphasize fibrous plant foods rather than refined flours and sugars, which also contributes to satiety. For those eating higher amounts of carbohydrate, opting for fiber-containing plant foods rather than simple carbs can help a lot. Additionally, ensuring sufficient protein intake is important (23, 24). Whichever diet an individual prefers, increasing the protein and fiber content are both ways to discourage food cravings and lower food intake. Key Point: Low-carb diets are a clinically proven diet for weight loss. Butter, ghee, and extra-virgin olive oil are all healthy condiments/cooking fats that taste great. However, isolated fats are very energy-dense, and we don’t need to use a lot of them. For one thing, they only offer a limited amount of micronutrients. Consuming these isolated fats in excess displaces more nutritious foods from the diet, and it may also hinder weight loss efforts. For instance, anyone struggling to lose weight while cooking everything in oil and drinking cups of bulletproof coffee may want to consider cutting down. 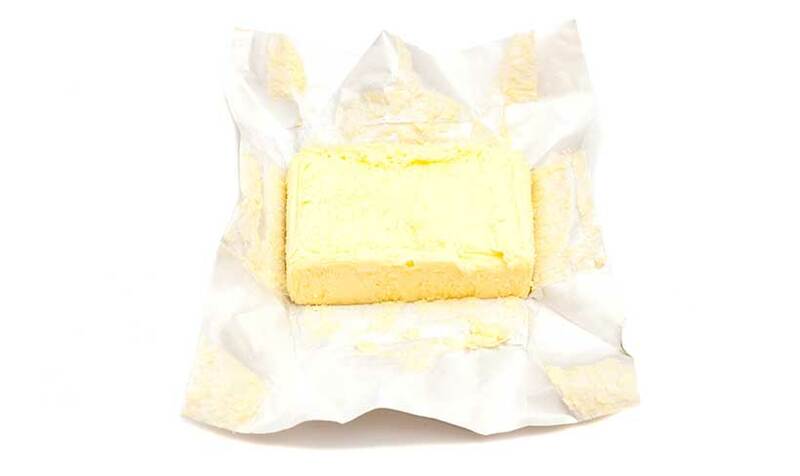 Key Point: Butter is delicious, and there is nothing wrong with using it to complement food. However, it is very energy-dense and we shouldn’t binge on it. Trying out a new sport or perhaps joining a social community can be another healthy lifestyle choice. If fast-action sports aren’t the right fit for you, then a local hiking club or similar is an excellent option too. Interestingly, studies show that our social network can have a substantial effect (either positive or negative) on weight loss interventions (25). With this in mind, being surrounded by those who enjoy physical activity can only be a positive thing. Additionally, physical activity contributes to an overall healthy living pattern, and individuals who are more physically active tend to have better health markers (26). Key Point: Activity levels alone are not an adequate weight loss intervention, but being more physically active can be part of the solution. Weight loss shouldn’t be about starvation diets, fat-burning supplements, and time-limited lifestyle changes. To break this habit and achieve real, sustainable progress, we need to find a healthy lifestyle that we can enjoy and commit to. Each of the ideas in this article can play a role in positive change, and when combined, they can help to kick-start the process of losing weight. Can’t Lose Weight? Try These Healthy Food Swaps.